Ben Afleck (left), and wife Jeniffer Garner. Actor Ben Affleck praised wife Jennifer Garner for her dedication to philanthrophy at Save the Children Illumination gala. The annual event helps support Save the Children’s objectives to work to eliminate preventable childhood deaths worldwide and ensure every US child has access to high-quality early childhood education. This year, it was hosted by Jennifer Garner, who was honoured at last year’s gala. The actress also brought her daughter, Violet to the event. 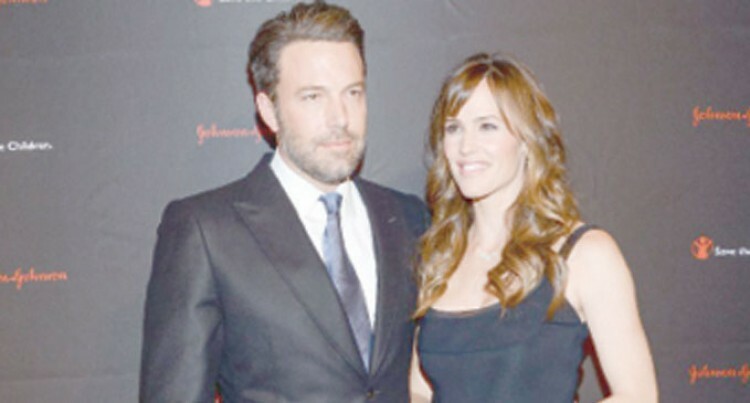 This year, her husband, Affleck, was honoured along with others who’ve done exemplary work to help children around the world, reports hollywoodreporter.com. On the red carpet, Garner said that having kids has strengthened her commitment to the charity, which serves impoverished, marginalised children around the world, and helped her relate to the women and caretakers she visits. “There’s nothing that levels the playing field like being a mom and the conversations are as real with those women as they would be with my friends in the Palisades. “Those women love their kids as much as I love mine, and they should have every possible advantage and lack of disadvantage that I have,” Garner said.